"Sister casino to Betat Casino - payouts within minutes! " 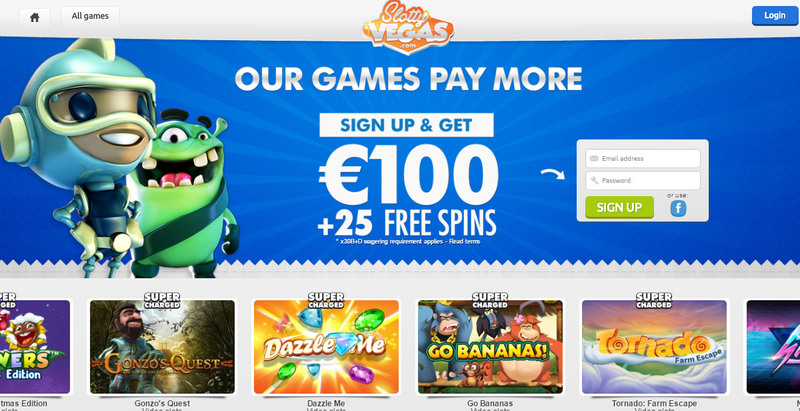 Slotty Vegas is the sister casino of Betat – which was once a highly promoted casino here at Casinomeister. This was due to their casino’s iGaming rep’s activity with our forum community – they excelled at treating players fairly and professionally. Things were fine until just recently when we found out that the ownership had changed. We don’t have issues about ownerships changing – but we need to know who the individuals are. NRR Entertainment is a privately held company, and they have every right to keep themselves private. But in our Accreditation terms, I state clearly that I need to know the individuals behind these companies. This casino’s owners do not want me to know who they are – well apparently so since they won’t tell me. That’s fine by me, but they can’t be listed as an Accredited Casino at Casinomeister. So here they are in the Grey Zone. 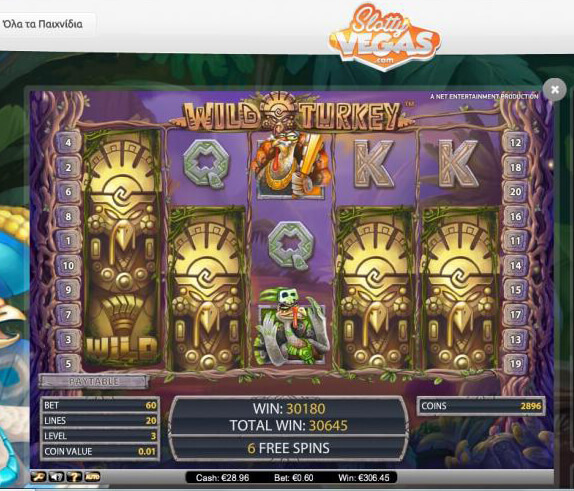 Players may not have any issues – their software platform is Genesis, Leander Games, Microgaming, Netent, NextGen, Play n’GO – all of these games can be played in your browser. There is no need to download these games to play. 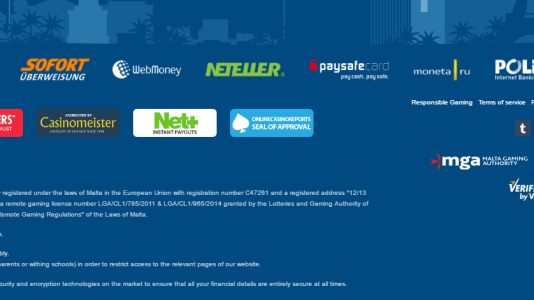 Slotty Vegas holds a license in the UK and in Malta. 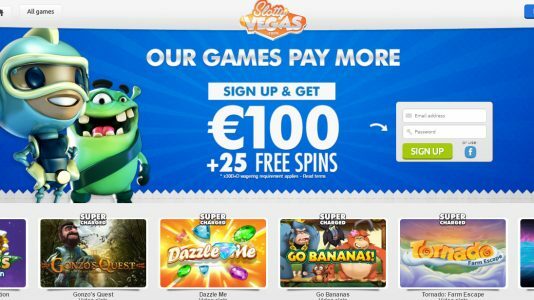 They are part of the Bringit affiliate group which also includes their sister casino: Betat. Their customer service is in-house and is located in their offices in Malta Their activity in the forum has traditionally been pretty good if not excellent. They have some very talented people employed there. Bonuses and Promotions. Bonus funds are kept separate from your real money account, so you can withdraw at any time – but when doing so you forfeit the bonus funds. If you accept a bonus, your real funds are used first – then the bonus funds. One thing that makes this casino stand out, their terms and conditions are crystal clear. I have used their bonus terms and conditions as an example for other casino operators who are looking for advice on how to write proper terms. Slotty Vegas terms are solid and clear cut. No “spirit of the bonus” here. They could have been one of the great casinos out there. They were extremely responsive to player critiques, kudos, and criticisms. But with a change of ownership, things may have changed. Maybe time will tell, but at the moment I cannot fully endorse a casino via our Accredited section if I do not know who owns the casino. Players may not have any issues, but I do.